Typically, a tall inseam is 32 inches and longer. Tall maternity jeans come in many styles, colors, and sizes. The best choice will fit your own personal style. They will also be comfortable and within the price range determined by your budget. Depending on the length of your inseam, you may find that there are a wide variety of tall maternity jeans available for very reasonable prices. Most maternity pants come in one of two waist styles: under the belly and full panel. Full panel jeans have a stretchy piece of fabric at the front waist which completely covers your tummy, from the ribcage to just above the crotch. This style offers some support to the tummy and is modest. Your tummy is entirely covered, so you won't accidentally show the bottom of your belly if your shirt rides up. Under the belly is usually an elastic waistband with a very low rise. It rests several inches below the navel to accommodate even full-term bellies. Women who find over the belly pants to be itchy, restrictive, or too warm may prefer under the belly styles. The only way to determine which style you prefer is to try on some of both. Like other jeans, tall maternity jeans come in a variety of styles, like relaxed fit, bootcut, flare, skinny leg, and wide leg. Embellished jeans are more difficult to find in tall sizes, and they may cost more. Typically, a tall inseam is 32 inches and longer. Inseams up to 35 inches are widely available at budget friendly prices, but longer inseams may cost more and be more difficult to find. Pregnancy is a good time to experiment with some different styles than you would normally wear. You may not have liked slim fitting jeans before you were pregnant, but with a loose maternity top, slim jeans can create an elegant silhouette. You can also try pairing wide legged jeans with a snug top, which shows off your growing belly. It is not a good idea to wear maternity jeans that are loose fitting in the rear and thighs because of the nature of the elastic waistband. 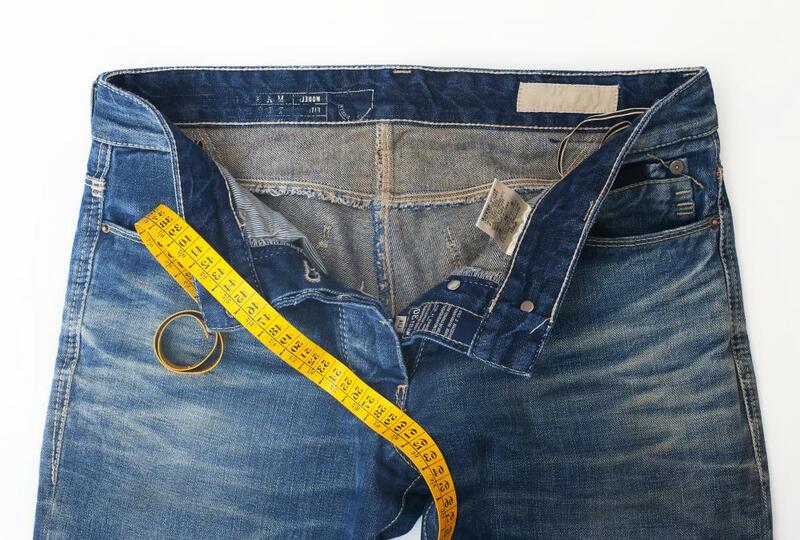 The excess fabric typically sags at the crotch and rear of the jeans. Often, the jeans will slide off the waist and hips and create an unflattering silhouette. If you try on a pair of jeans that are too snug to be comfortable but seem to be the correct size, the fabric is probably too stiff. Instead of choosing a larger size, find a pair of tall maternity jeans that contains 1%-3% spandex in the weave, which provides more give to the material. How do I Choose the Best Maternity Jeans?